converged/Internet-connected devices) = Millions of Learners? Learning Ecosystems created the graphic above. Take their concepts — hook them up to engines that use cloud-based learner profiles — and you have some serious potential for powerful, global, ubiquitous Serious Games for learning! 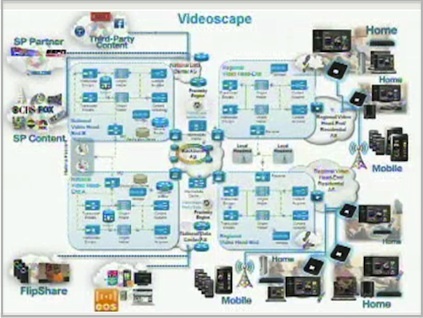 On Jan. 5, 2011 Cisco announced the release of Cisco Videoscape®, a comprehensive TV platform that brings together digital TV and online content with social media and communications applications to create a new, truly immersive home and mobile video experience. This ambitious strategy aims at making high-quality video pervasive across a wide range of devices, from broadband-connected set-top boxes to tablets and other mobile devices. What brings this strategy to life is a new family of devices carrying the Videoscape brand and common software architecture, which Cisco promises will deliver a consistent quality of immersive experience across devices. Videoscape is part of Cisco's value proposition to provide the Next Generation of TV that is simpler for consumers and transforms the market opportunity for service providers. 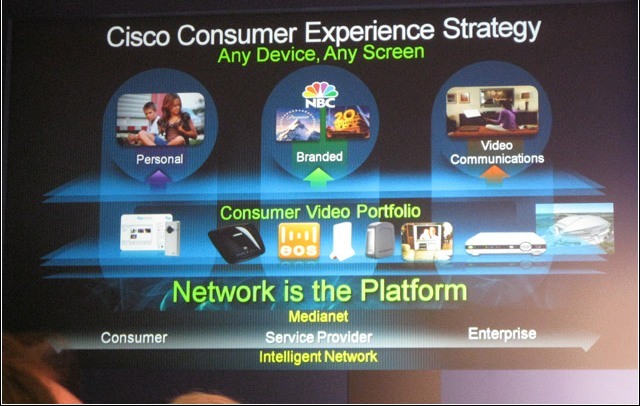 Cisco is currently working with several major global service provider customers enable next-generation video experiences through the Videoscape platform. For consumers, Videoscape delivers immersive experiences: access to vast entertainment content sources, integrating the Internet, social media, communications and mobility. I fully agree with Learning Ecosystems statement that it has some serious potential for powerful, global, ubiquitous Educational Serious Games for millions of learners.